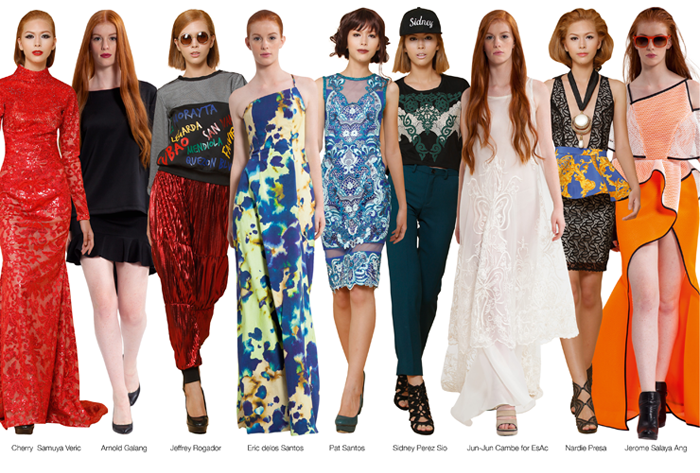 The Philippine Fashion Week (Spring-Summer 2015) fever is here again to show the designers' newest creation in the runway. This will be held at the SMX Convention Center in Pasay City on October 24-26, 2014. 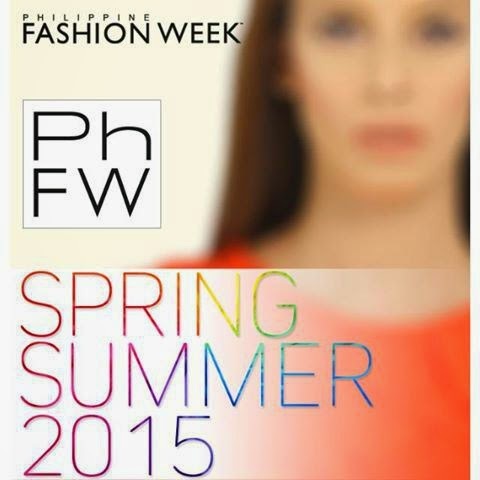 The Philippine Fashion Week (#PhFW) brings together the best designers, brands, and talents. It presents to us the future of fashion for the increasingly social, and progressively global modern lifestyle. It is not only a venue to celebrate Filipino talent in the fashion and modeling industry but it is also considered the launch pad of Filipino fashion. 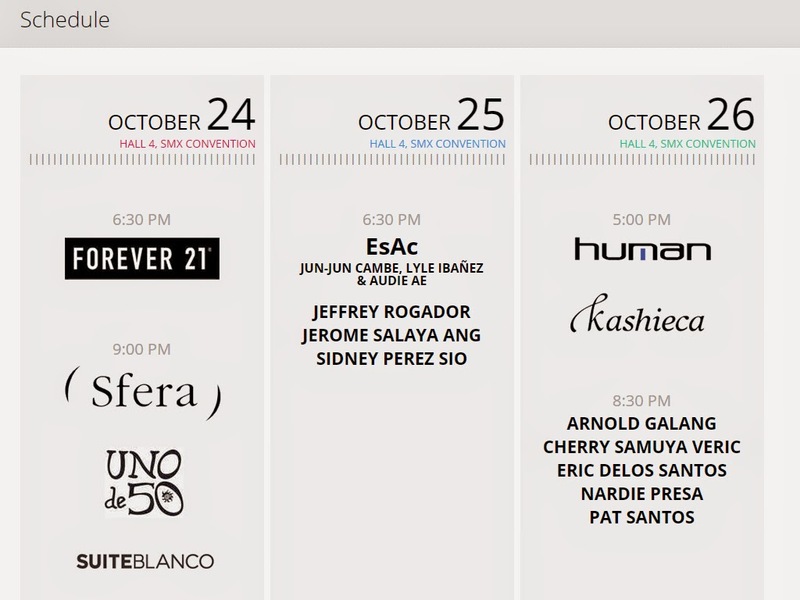 This is the shortest season ever - having only 3 days of shows - a few brands and a few number of designers participating. People really look forward to attending this big event. In the past years, it was usually held for 7-8 days, then it became 5 days, last season was 4 days, now only 3 days. I don't know what happened. People from far away land really make way to attending the Philippine Fashion Week. Most people make an effort to dress up for the season. This event, held twice a year (May and October), is a show never to be missed. I just wish that Runway Production would bring back the feel of a week-long celebration in the runway.